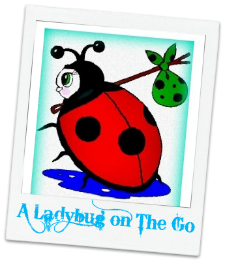 A Ladybug on The Go: Cedar Point in Sandusky Ohio Kicks off Summer This Weekend!!! Cedar Point in Sandusky Ohio Kicks off Summer This Weekend!!! Guess what is happening this weekend.....? 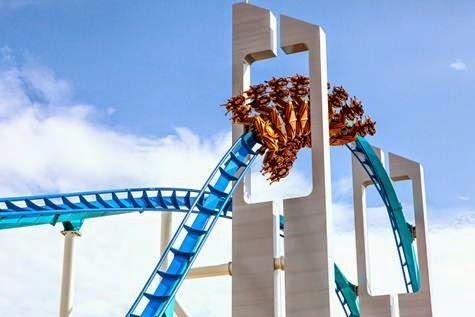 You are definitely going to want to get a weekend getaway going to celebrate the opening of Cedar Point Amusement Park! Not only is this the place with the most roller coasters in the WORLD, they've been voted the “Best Amusement Park in the World”!!!! Saturday ONLY, guests will even receive a complimentary Cedar Point VIP jacket at the main entrance (upon exit, while supplies last). I've got myself one of these and it is perfect for riding the coasters on a chilly day or during the evening hours! Check out the Top 8 list of NEW things to see and do at Cedar Point this summer. Early-risers will delight in the addition of a full-service Starbucks (in the former Donut Time). From fresh baked goods to your favorite coffee drinks, the barista's at Cedar Point’s Starbucks are here to help you get your day off on the right foot. With new live shows like “Rockin’ Country” in the Red Garter Saloon, “Lusty Lil’s Revue” in the Palace Theatre and “Snoopy Unleashed” in the Good Time Theatre! !